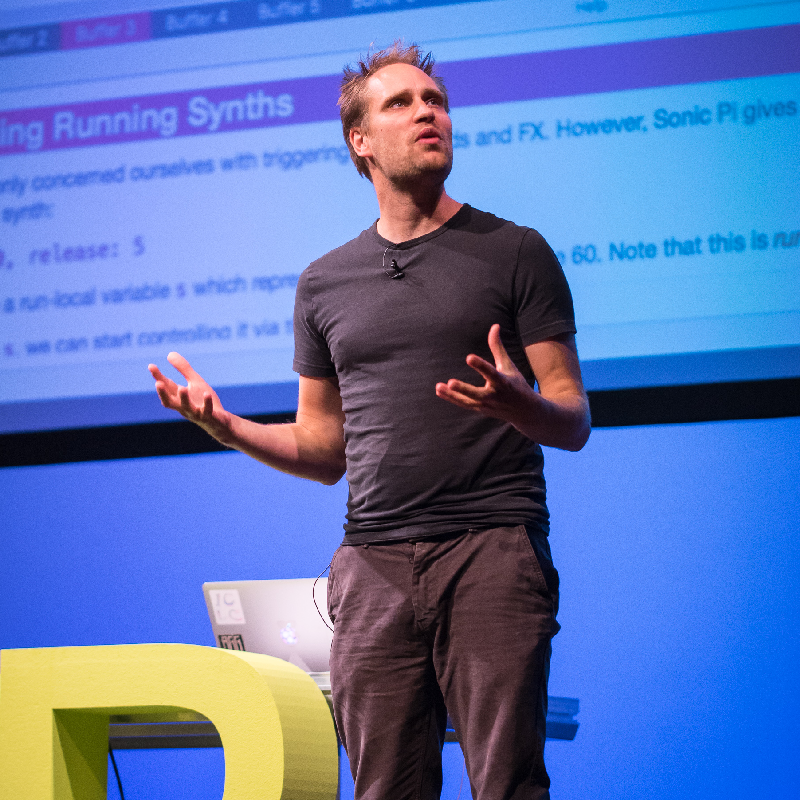 Sam Aaron is best known for creating Sonic Pi, a new musical instrument that converts computer code into music. Sonic Pi is entirely free, open source and is available for Mac, Windows and Linux and can run on a Raspberry Pi among other platforms. Sonic Pi is regularly used by ‘live coders’ to create music via code in real time. It’s also being used by schools and universities use to teach computer science and music tech. Over a million people have used Sonic Pi around the world. Sam earned his 1st Class Honours & PhD computer science degrees from Newcastle University. His work have been featured in Rolling Stone magazine, been awarded a Google prize, was used to teach 2000 African children as part of Code Bus Africa as well as 2000 students to perform in the Royal Albert Hall in 2019. Sam is an independent artist, educator, performer and evangelist for computer science education. If you’ve never seen Sam speak or perform, he’s not to be missed.